The government of Venezuela published several guides Tuesday in support of the presale for its “petro” cryptocurrency. Announcing the oil-backed token as a form of legal tender that can be used to pay taxes, fees and other public needs, the Venezuelan government outlined its plans and expectations for the petro in a new website built for the cryptocurrency and launched today with the start of the token’s pre-sale. The website is hosted by the country’s Ministerio del Poder Popular para Educacion Universitaria Ciencia, Tecnologia (MPPEUCT). The petro’s price will depend on the price of a barrel of Venezuelan oil from the previous day, according to the government’s website. The presale, which was announced last month, launched Tuesday morning, as CoinDesk previously reported. Though more than 100 million petros are expected to be released ultimately, initially, only 82.4 million will be disbursed. It’s the first digital currency to be issued by a federal government – yet the initiative itself has long attracted criticism, including from lawmakers both inside and outside of the country. It was first unveiled by Venezuelan President Nicolas Maduro in early December. The buyer’s manual explains how users can set up digital wallets and purchase the token, and includes a warning to users about wallet security. For full details on how the token works, the government released the full white paper (a notable release given that the government, just over a month ago, was blasting the release of what it said were fake details). Though the third embedded document is titled “Guidelines for the internal control manual for the prevention of money laundering and financing of terrorism,” the full file is only a table of contents and does not include the guidelines that the Venezuelan government plans to follow. The document release also offers new insight into a key detail: which blockchain the petro token will utilize as a payment rail. Indeed, the white paper confirms that, initially, the petro will exist as a token on top of ethereum, relying on the ERC20 token standard. “The Presale will begin on February 20, 2018 and will consist of the creation and sale of an ERC20 token on the [blockchain] of the ethereum platform. This process will promote and guarantee demand for the Petro Initial Offer, which will be made later,” it states. But notably, the buyer’s manual claims that “the PTR token will work on the chain of NEM blocks” during its pre-sale, referring to the blockchain network launched in 2015 that saw more than $500 million of its cryptocurrency stolen from exchange platform Coincheck in late January. It’s not entirely clear why there is a discrepancy between the two documents. It’s possible that the petro will indeed be built on top of the NEM network, only to be later swapped for the ERC20-based ones once the sale is in full swing. Alternatively, Venezuela could be using some kind of NEM-derived code in order to underly a wholly new ledger. A representative for the NEM Foundation did not immediately respond to a request for comment. With the sale launched, observers will have to wait and see what kind of attention it attracts. 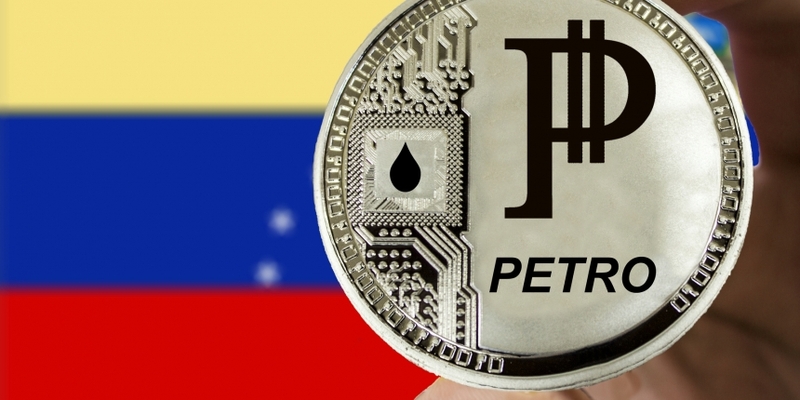 Per a roadmap published on the petro website, Venezuela plans to launch an exchange for the token next month, when it will also begin a private sale of the token. The government also aims to complete any adjustments necessary for its network by the end of March, with full use of the token expected to begin in April. Yet the controversial token, as mentioned previously, has attracted its share of opponents, including members of the opposition-controlled Congress in Venezuela. In past comments to the media, one lawmaker called it “illegal” and accused it of serving as a vehicle for corruption. In the U.S., some senior lawmakers have expressed concern about the use of the petro to avoid economic sanctions that have been imposed on the country. Senators Marco Rubio (R.-Fl) and Bob Menendez (D.-NJ) asked the U.S. Treasury Department in January to monitor and restrict the token. Editor’s Note: Statements in this article were translated from Spanish.